On moving into a new Council House in Litherland in 1947 I started school in the area in "the army huts"by the path over the(now)Bootle Golf-course.Later I attended Netherton Moss Primary when it first opened. I remember well the misery I felt when discovering the body of a kingfisher,killed when it flew into the extensive plate glass windows of the new school,probably from the vicinity of the canal.All this long before the new estates were built between the canal-bridge and the Cabbage Hotel. In those days the Anti-Aircraft Gun emplacements were still there in the middle of the Golf-Course although the guns had gone. Those were the days when a trip to Balliol Road Baths was a major eventgoing by train from Litherland & Seaforth Station(looking in envy at the overhead train on the other platform).You could buy a packet of 2 Ryvita biscuits in the shop opposite the Bootle Station and spend a half-penny on a cup of Oxo in the Baths. Does any-one remember the Army Huts and the opening of Netherton Moss School,the area now part of modern Bootle. The old Bootle is somewhere I never lived(although my wife lived in Kings Road)but many of my ancesters did.Rawling,Kellett,Pendleton,Musker,etc. Hi Rob, during my 30 years on the corpy highways dept, I would often be asked to do tempory caretaking at various schools and the 'Gunsite' was one of them. My old friends Barney and Peggy Malloy were the regular caretakers there at the time and they lived in the school house. Barney was seriously ill in Faz, and I used to call in the ward to see him while I was visiting my wife. I often ran Peggy home. It was a great little school. the kids were hilarious, they called me sir and would try to carry the coal scuttles for me. There were little combustion coke stoves in use there. A trip around the classrooms in the evening was a must. the things those kids wrote about their parents left them wide open for blackmail. Every morning there would be broken windows and golf balls in the classrooms. Happy days Rob. Sadly Peggy died just as Barney retired. Hello Rob, I went to Netherton Moss in March 1952 it was split A & B and (I hope my memory is correct )Mr. Lord was the Headmaster. This was my third school and I was only six. I went to Bedford Road, St. John's (that was a prefabricated building) then N.M., Princess Royal, Warwick Bolam and Countess of Derby. I don't know how long N M had been open before I started there. I remember the opening of Princess Royal - I think it was the Queen Mother, Princess Margaret opened Countess of Derby( she was engaged to Tony Armstrong Jones at that time). I was in the first class in the last three schools I attended all were lovely new schools. I think the only one still being used as a school is the Countess of Derby building. I have great memories of Princess Royal, Warwick Bolam and Countess of Derby, will put a post on Teacher site. We were bused to N.M. & W.B. from where I lived on the Copy Lane estate. Thanks for reviving the memories. I too went to Netherton moss.i was born 1954..so i must have started there 1959..teachers i had , was mr moore..he was quite old!! or seemed it! mr silcock..mr polfreman..mr lord was the headteacher..i recall in the passageway by the office was stuffed turtle..a dog made of woodbine packets..my older brother Derek Sefton.went there briefly, before then going to warwick bolam...i thought it was great school.very new and modern..i moved to southport in feb 1965..then went to a very old school..with outside toilets. Great memories of school. freinds i remeber are valerie haslett..denise forest..helga johnstone..joan bamber..nora cook..mavis newton. I remember my first teacher in infants was Miss Pearce. 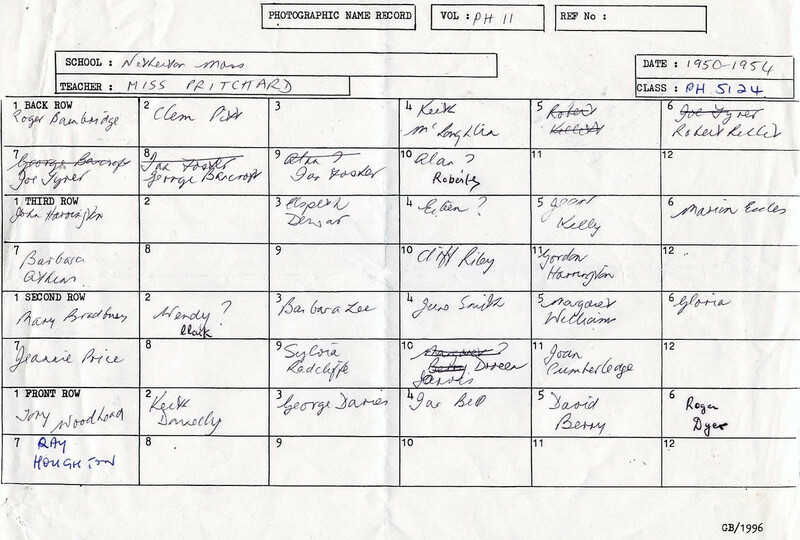 In the juniors I had Mrs Costigan ( I thought she was a native Red Indian) Mrs Edwards and Mrs Pritchard. Mr Lord was the HM. Contemporaries were Steve Smith (The Marian Close), Stephen Street(All Saints Close), Rob Hussey, Alan Wilcox(Swifts Lane), Mickey Bowers(Swifts Lane) Dave Masterton(Fleetwoods Lane)... oh yes and some girls! Carol Rice Elizabeth Howard - a couple I recall. 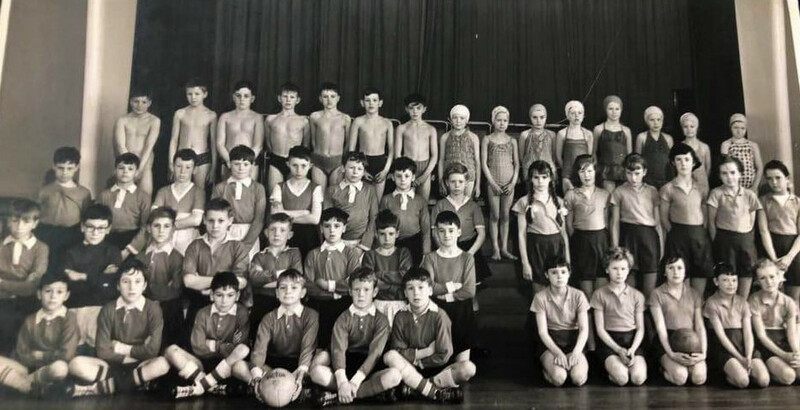 Netherton Moss Football, Netball and Swimming Teams 1963/64. I only know a couple of lads from the football team. Front row, far left Hugh McAuley. Front row, three in from left Jimmy Culley. Front row, one from right Geoff Steers. My name is George Bancroft and I was born in Netherton in 1940 I first went to Netherton Primary School when it was in St Oslwalds Church and then we moved to the "the army huts". American servicmen were still stationed next to the school huts separated by a barbed wire fence. They often gave us packets of chewing gum. The army huts was only a temporary move untill the new school was built. I then attended the new Netherton Moss Primary when it first opened. I think you were in the same class as me Rob. 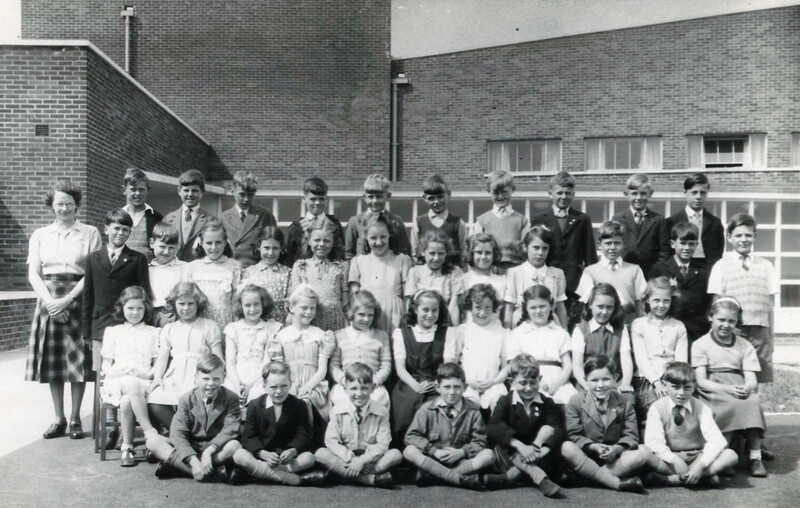 I have compiled & indexed a short history in notes & photographs 1940 - 1972 of Netherton Moss Primary School on CD. I can supply a copy of CD for for anyone interested at £15.00 plus postage. Podge wrote: My name is George Bancroft and I was born in Netherton in 1940 I first went to Netherton Primary School when it was in St Oslwalds Church and then we moved to the "the army huts". George, I've enlarged your photos..
Netherton Moss was our derby match. Netherton Moss to the left. Holy Ghost/Holy Spirit to the right. Swifts Lane in the middle. Dan, it’s a long time since I saw that view, presumably shot from the canal bridge end? Sure is Ken. Though we always called it the hump-backed bridge. Not sure if that's PC now. I've got some pictures from under the bridge that I'll have to find. It's an amazing construction.